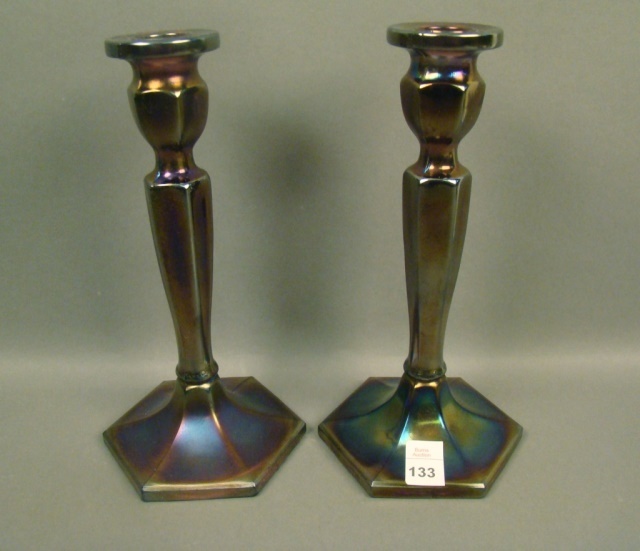 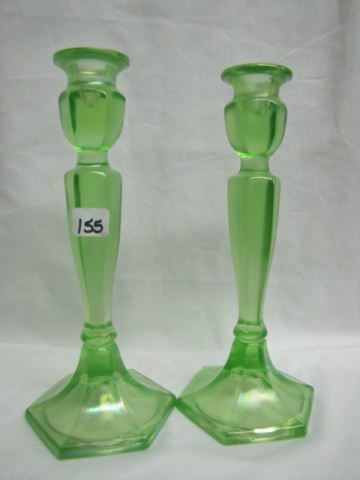 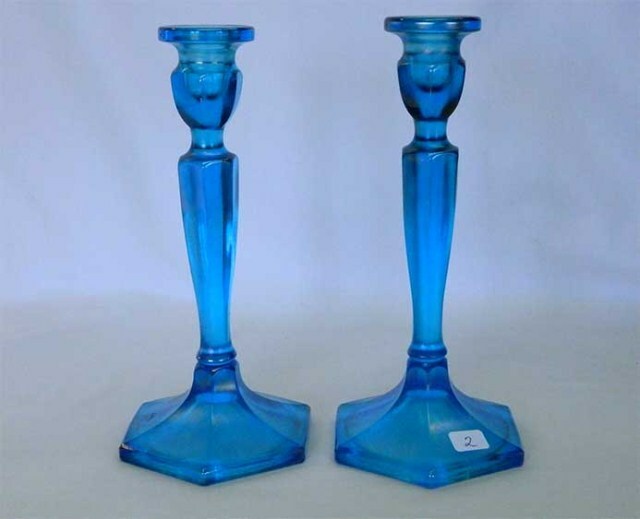 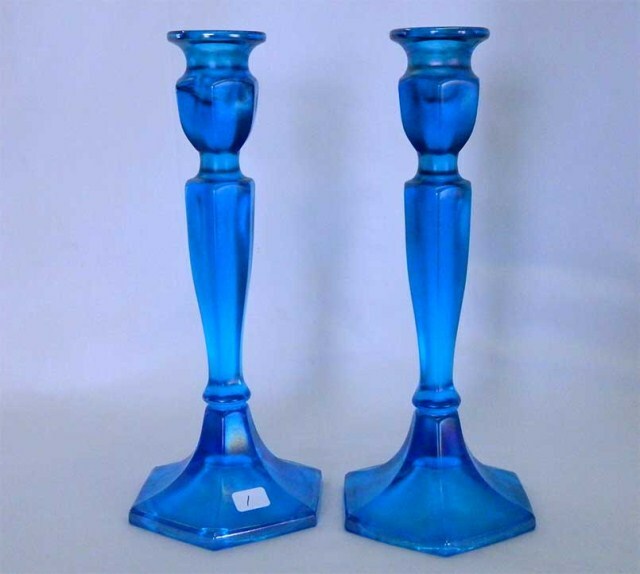 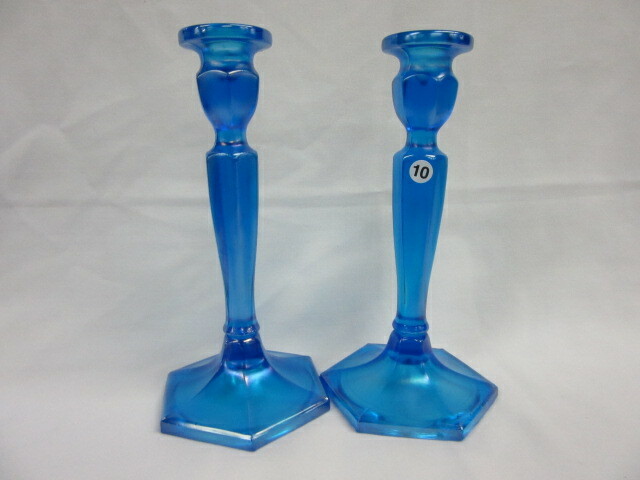 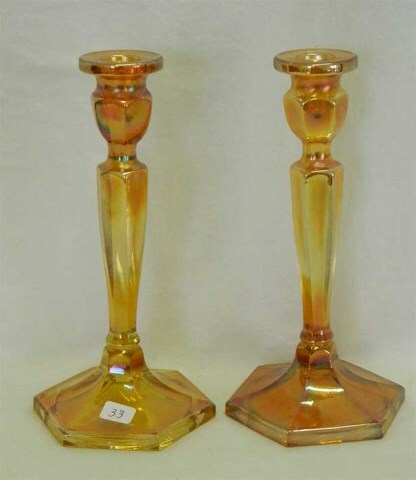 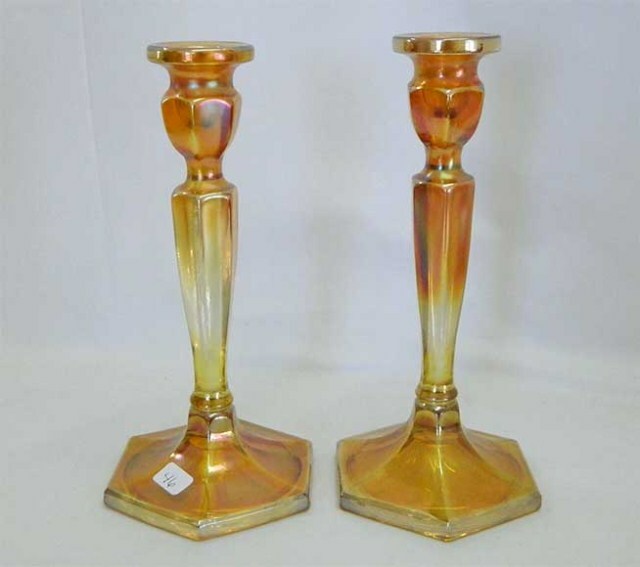 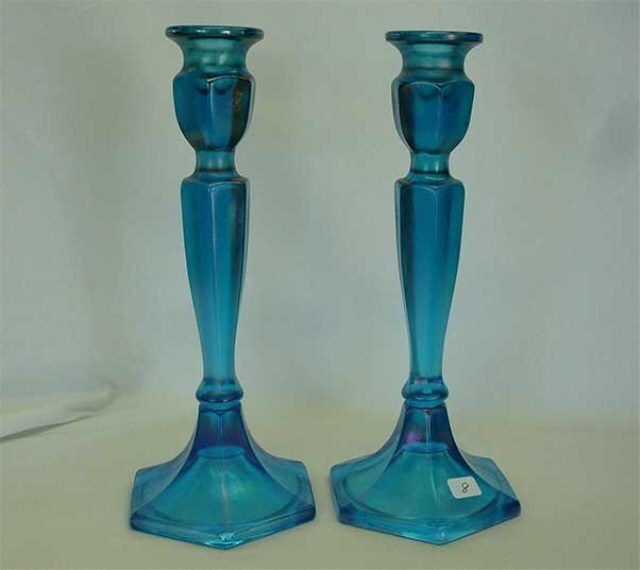 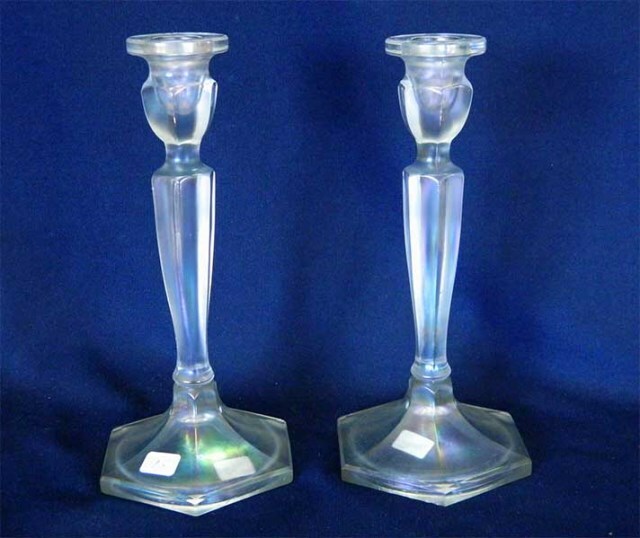 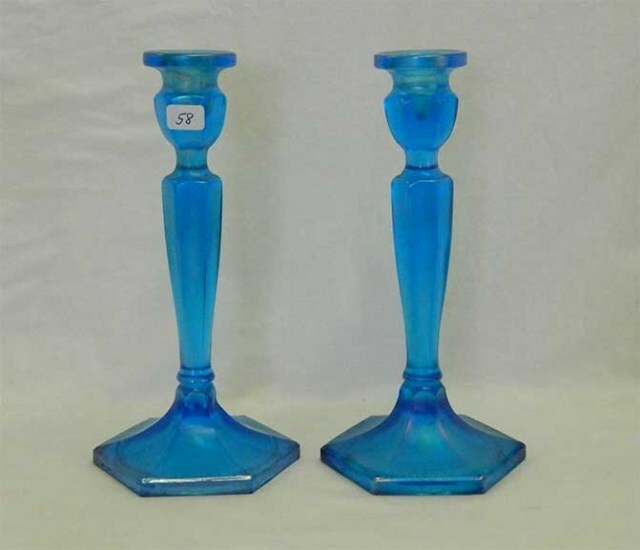 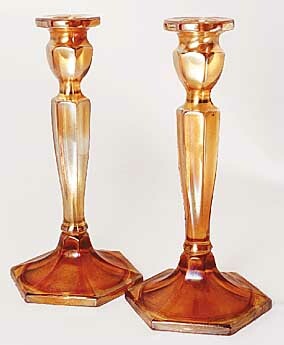 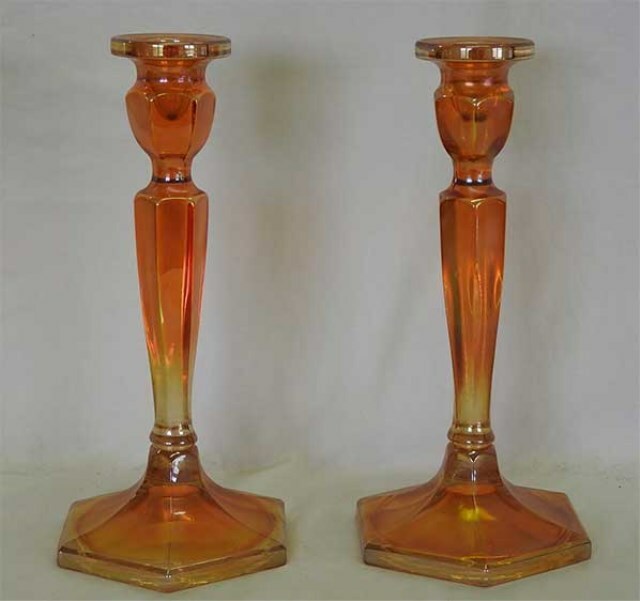 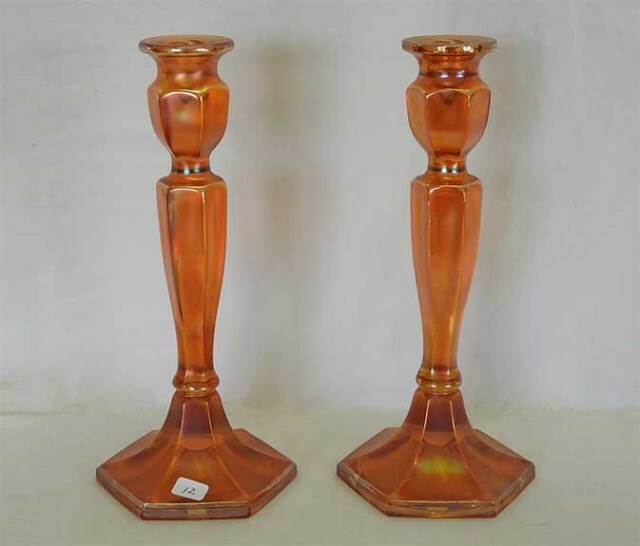 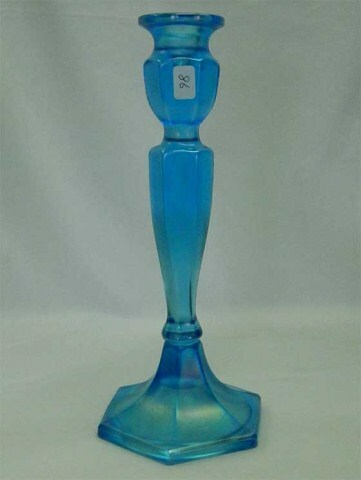 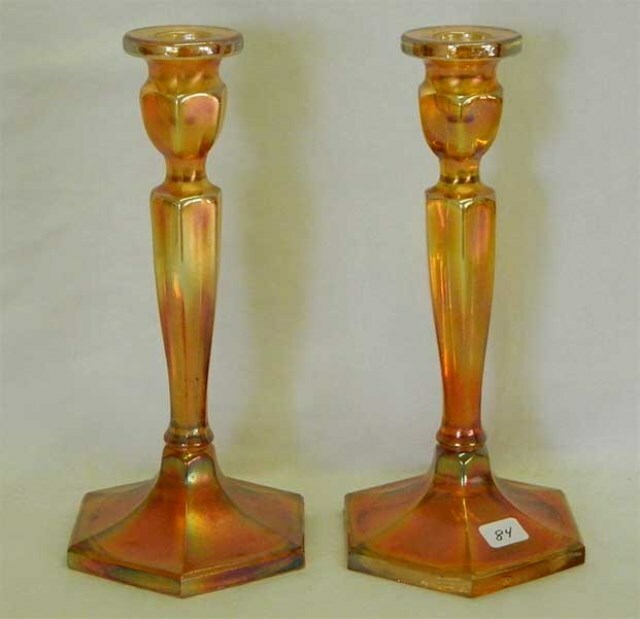 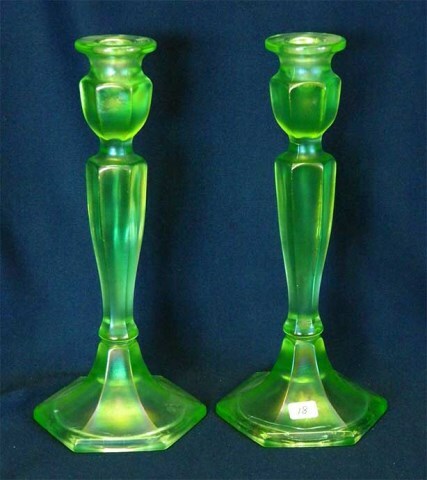 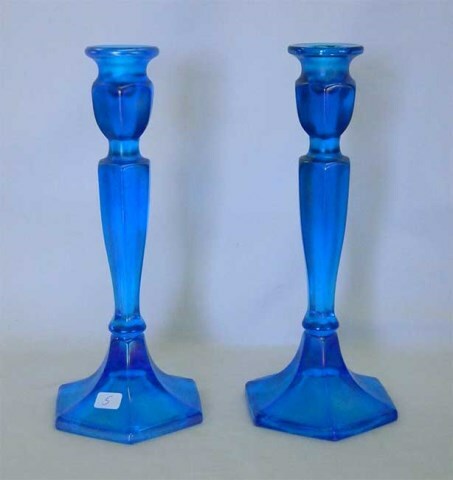 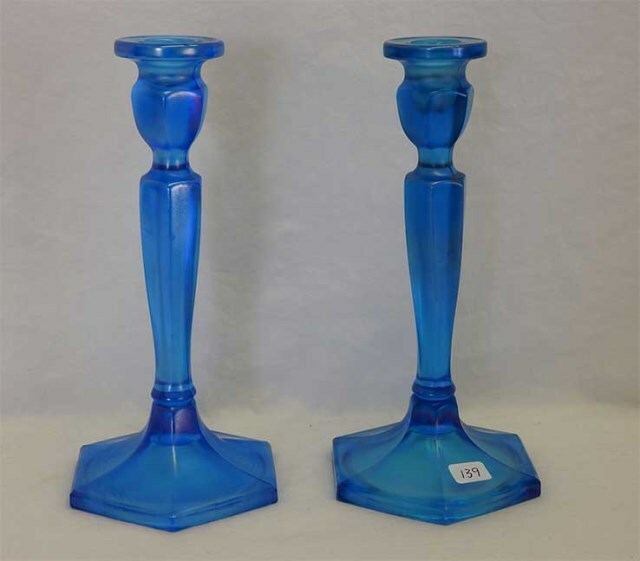 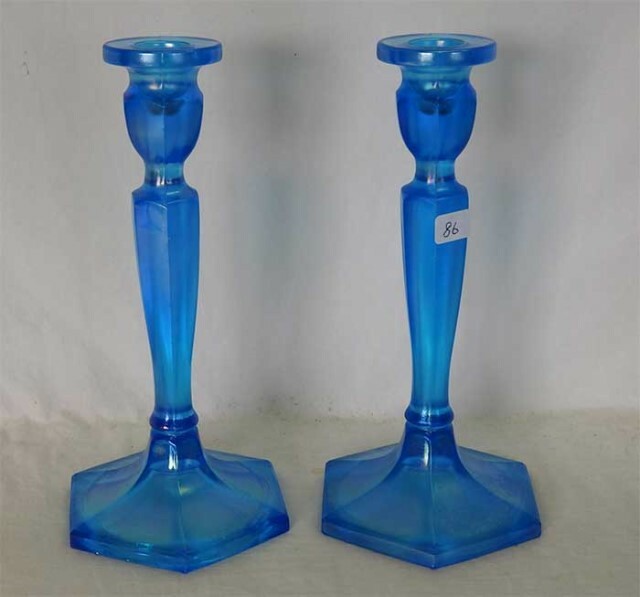 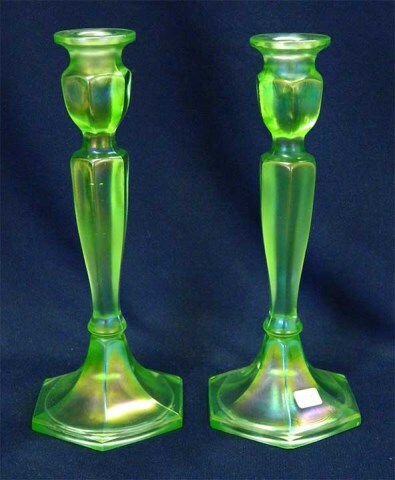 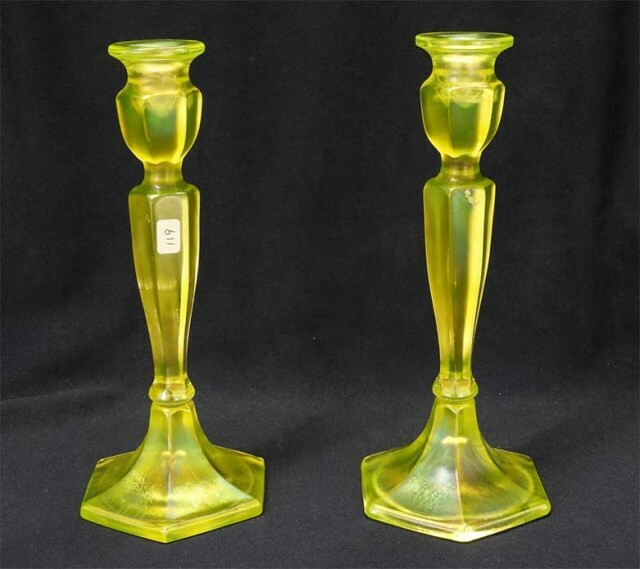 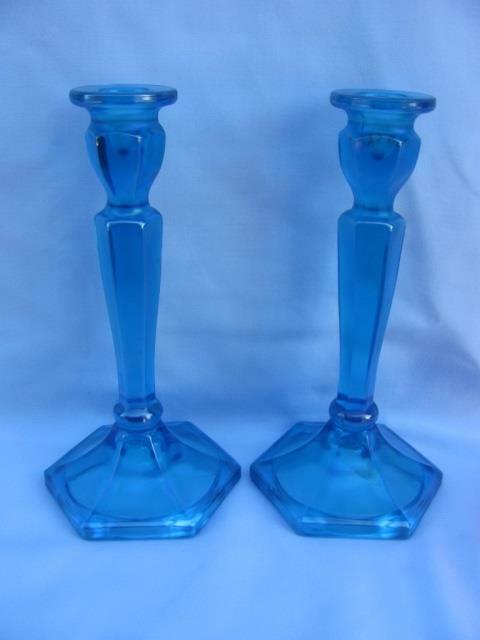 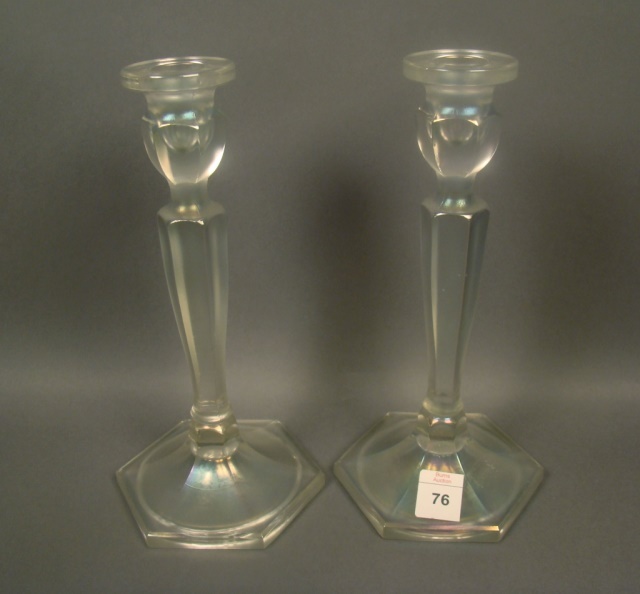 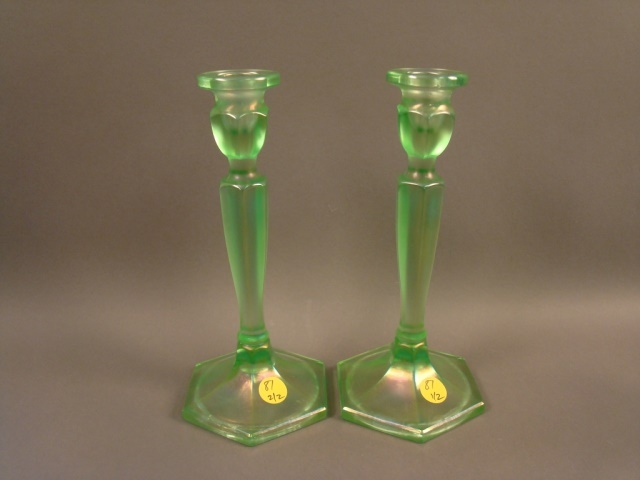 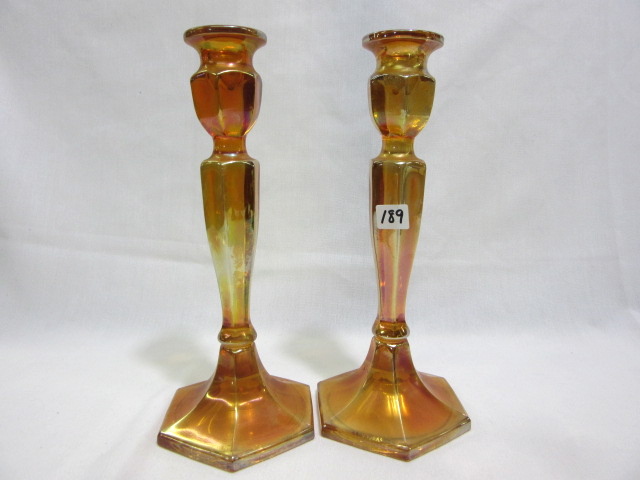 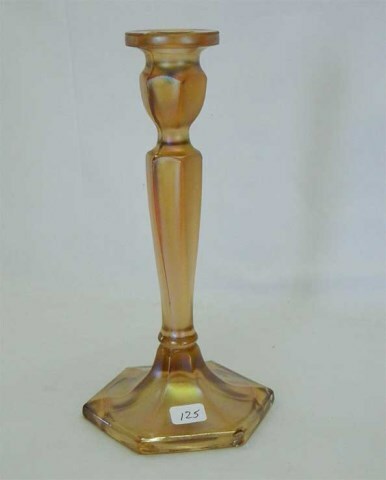 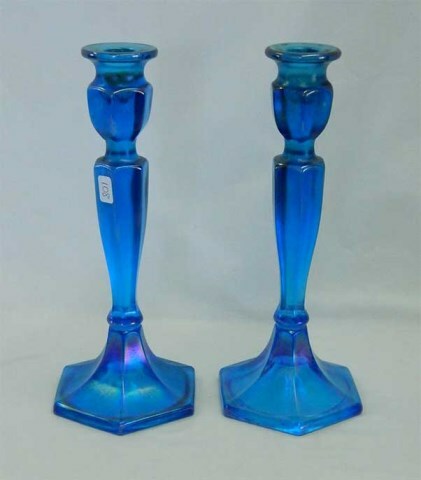 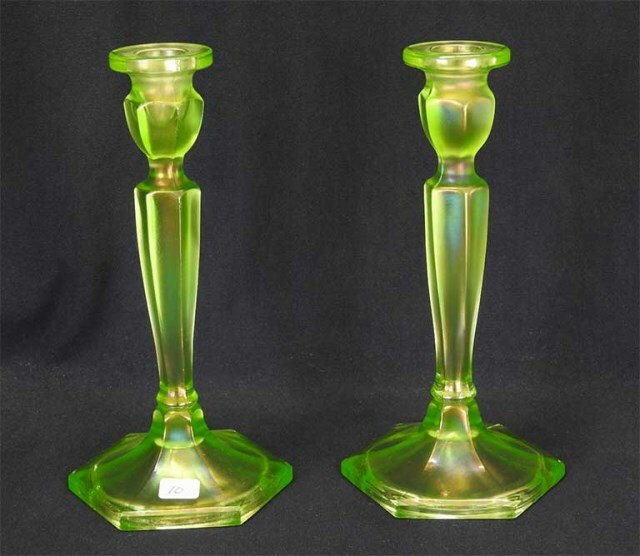 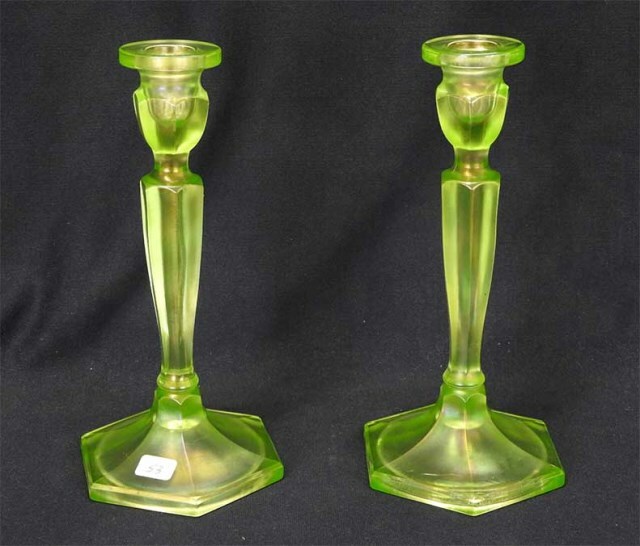 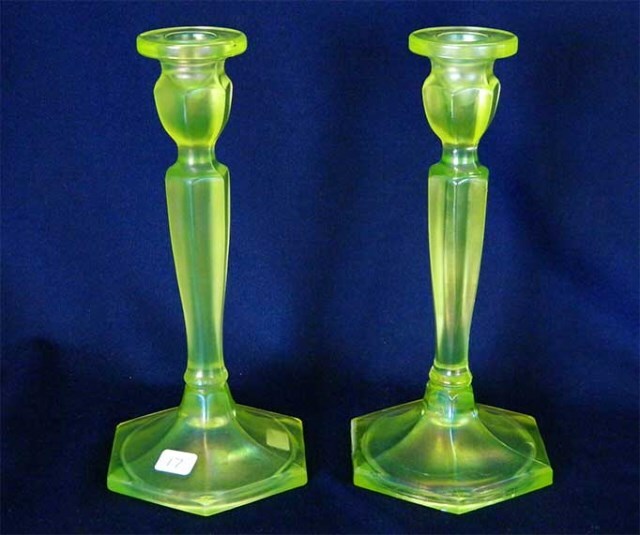 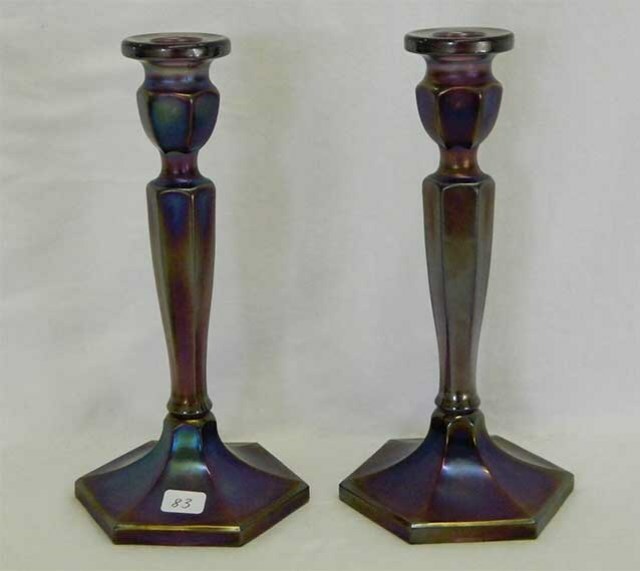 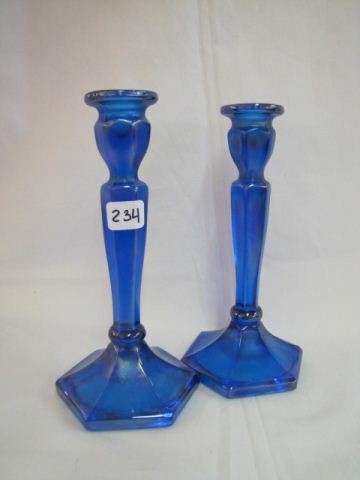 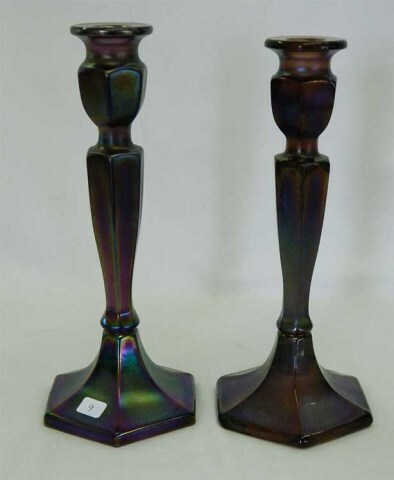 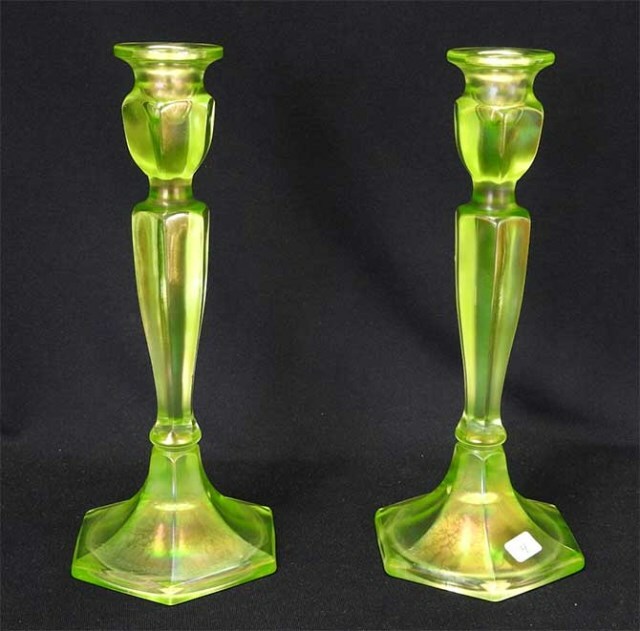 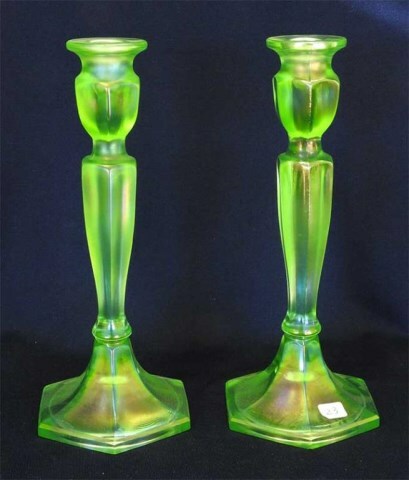 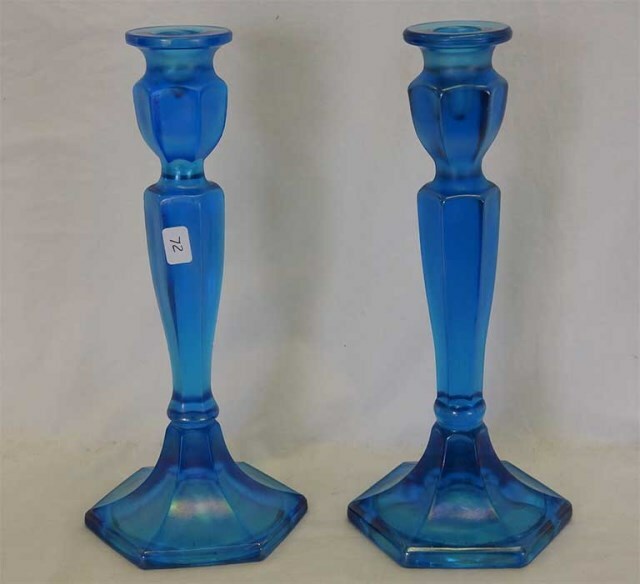 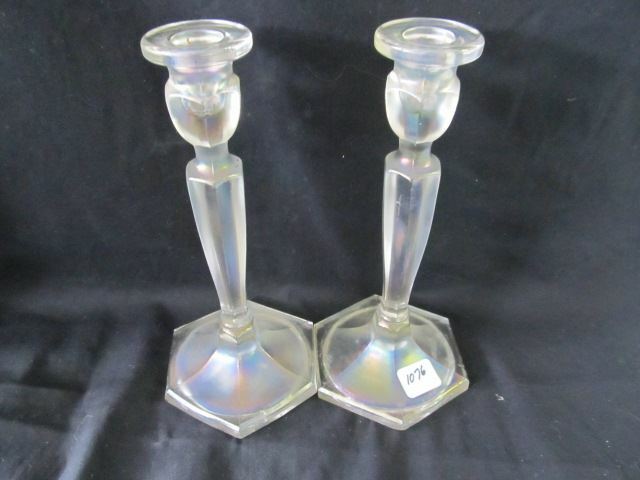 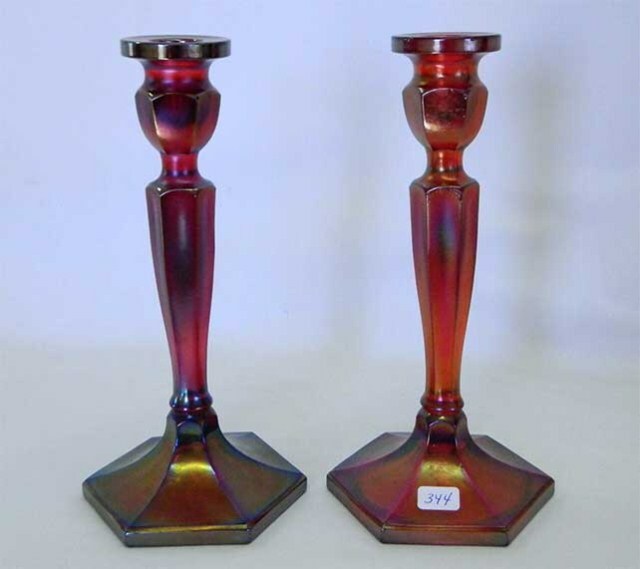 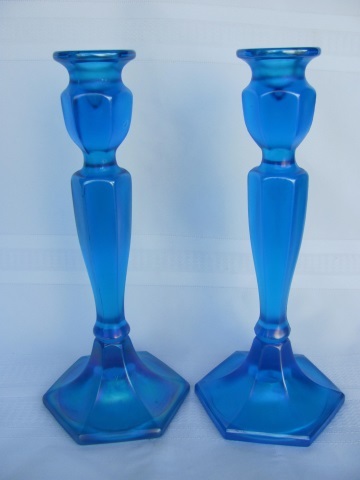 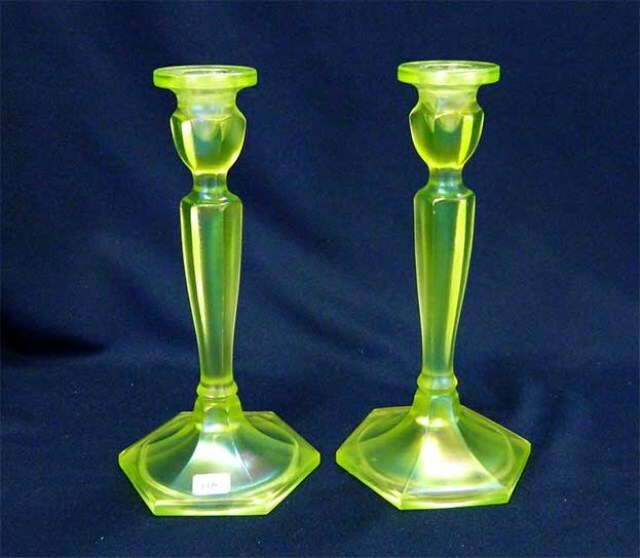 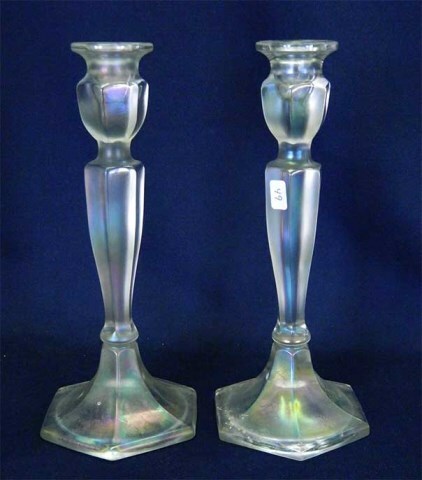 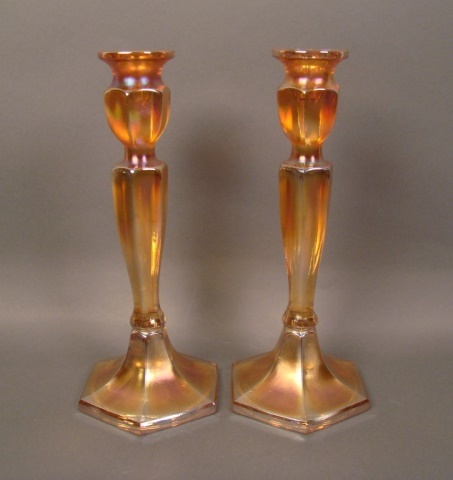 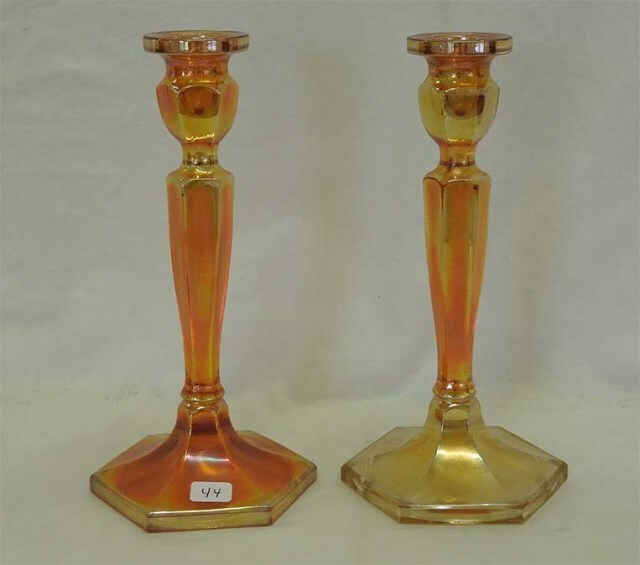 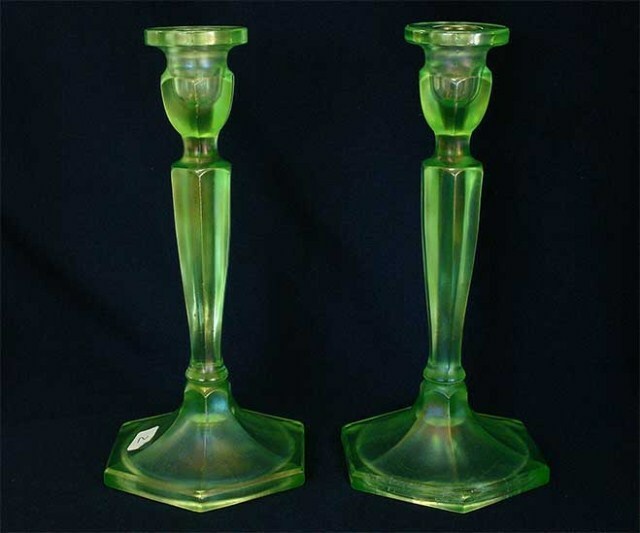 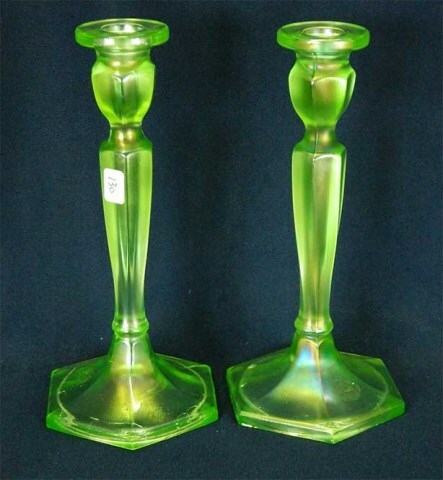 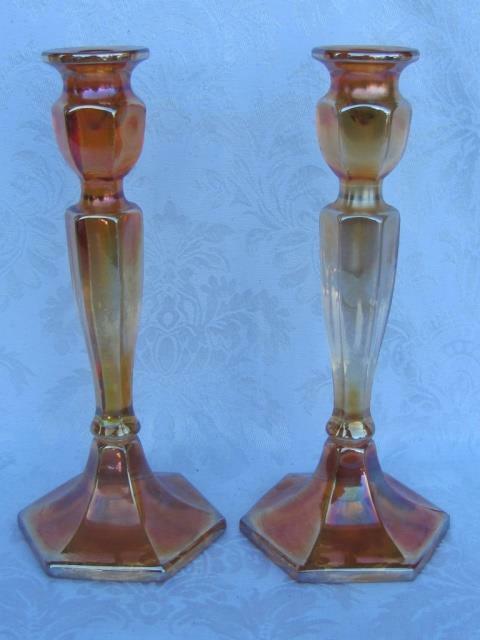 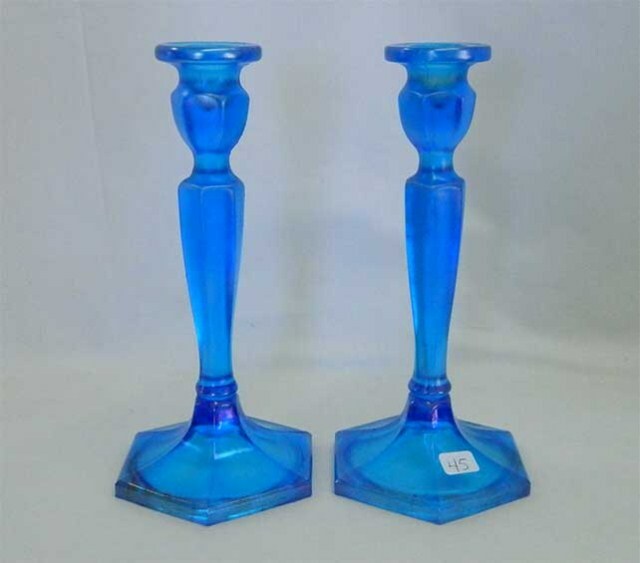 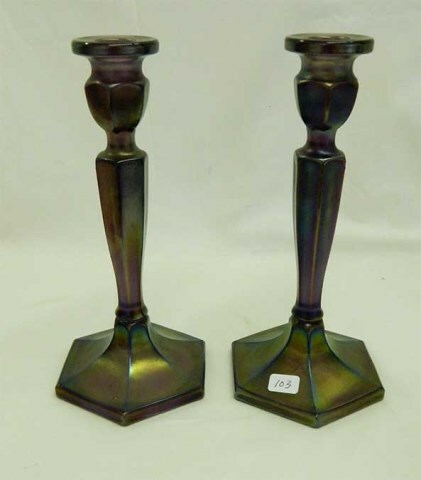 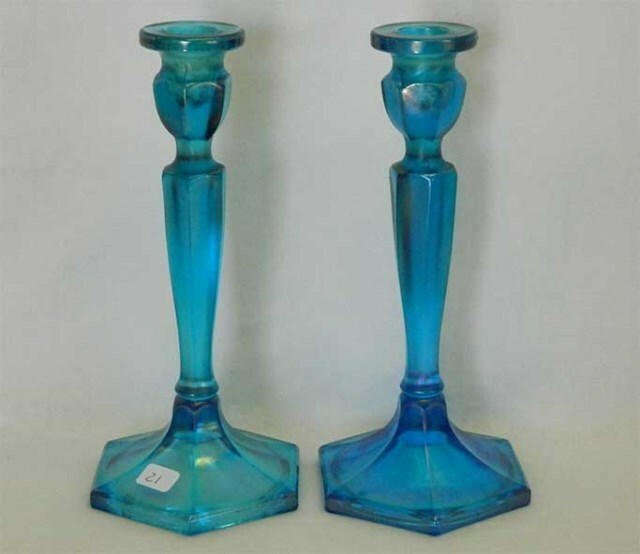 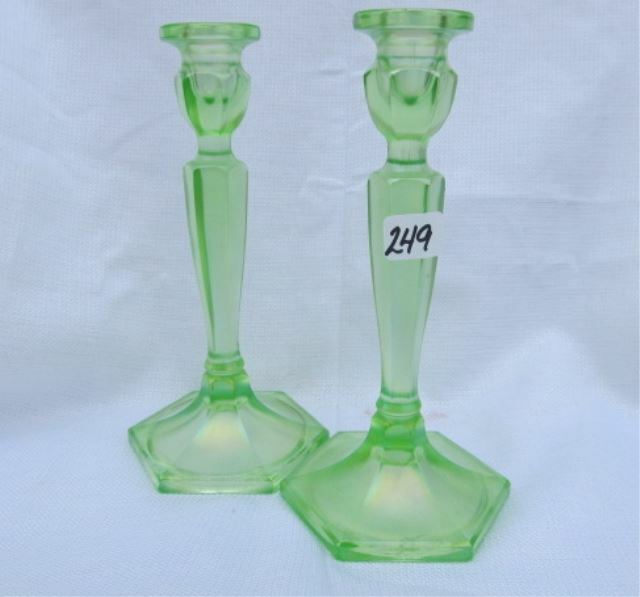 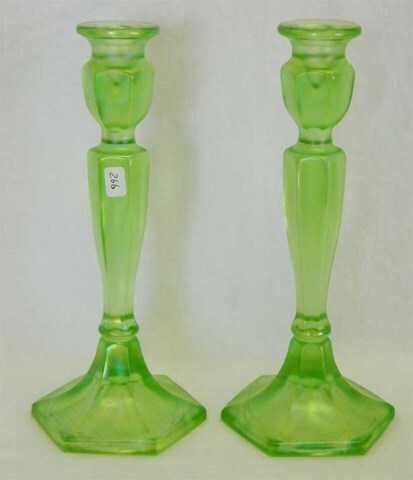 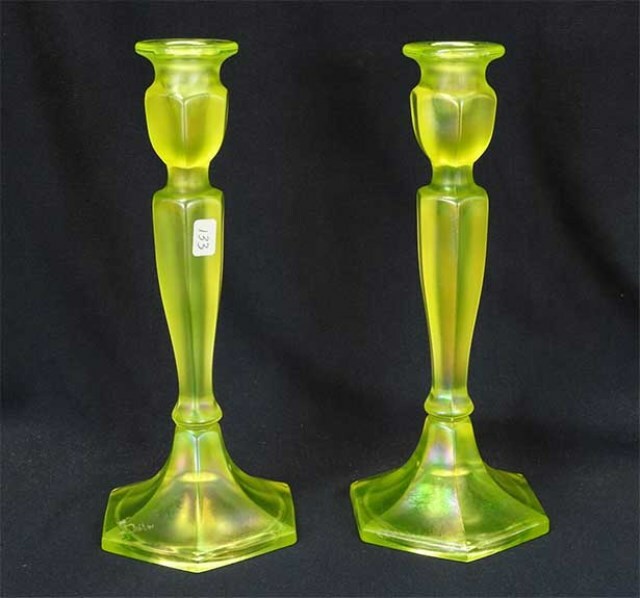 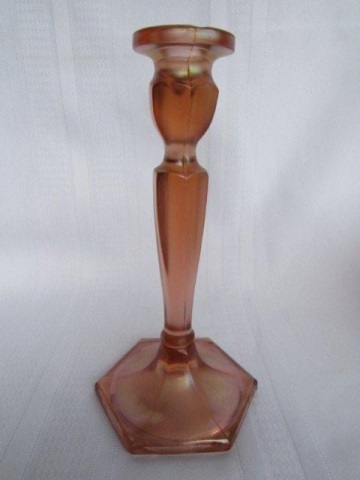 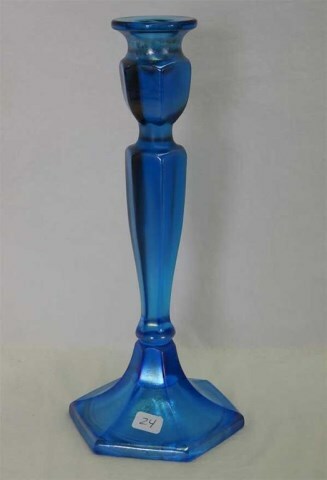 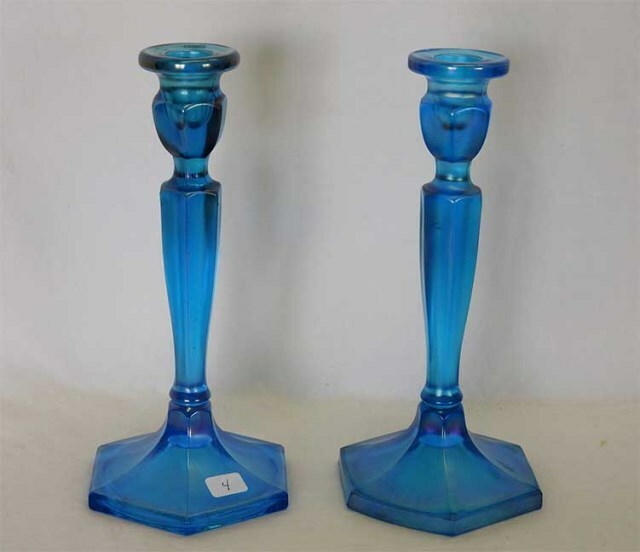 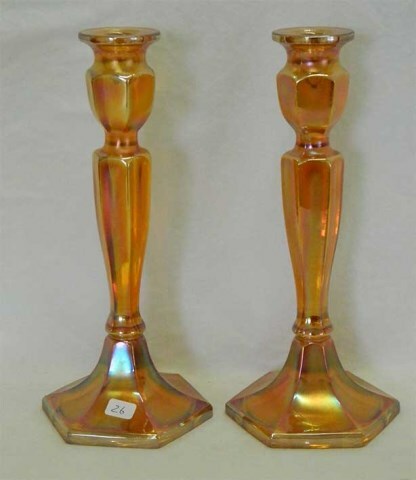 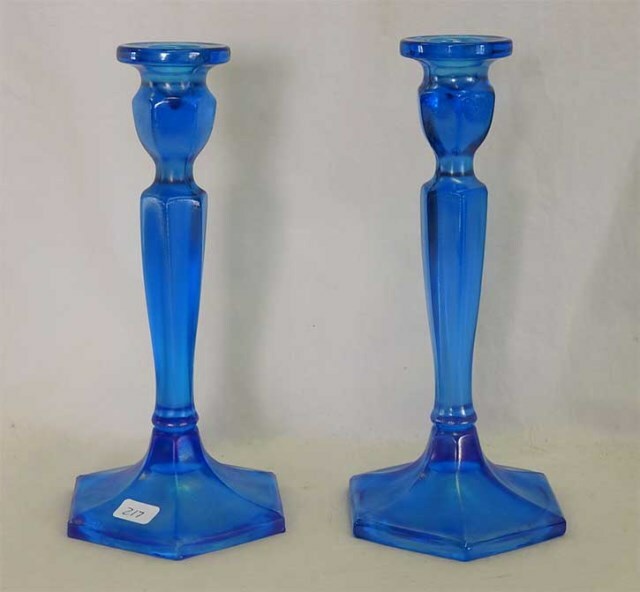 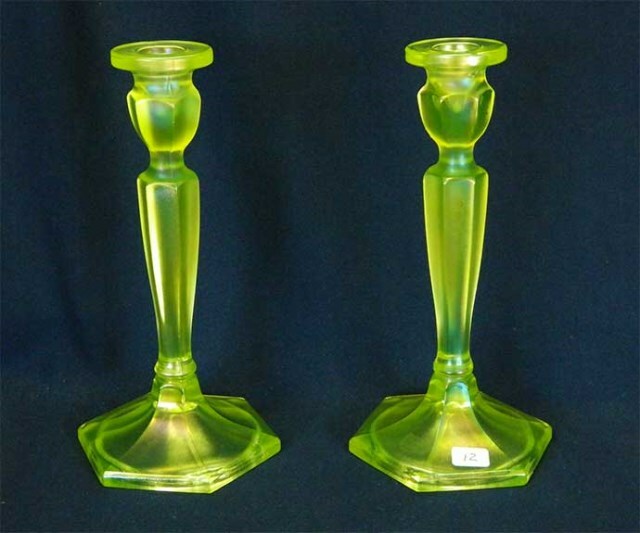 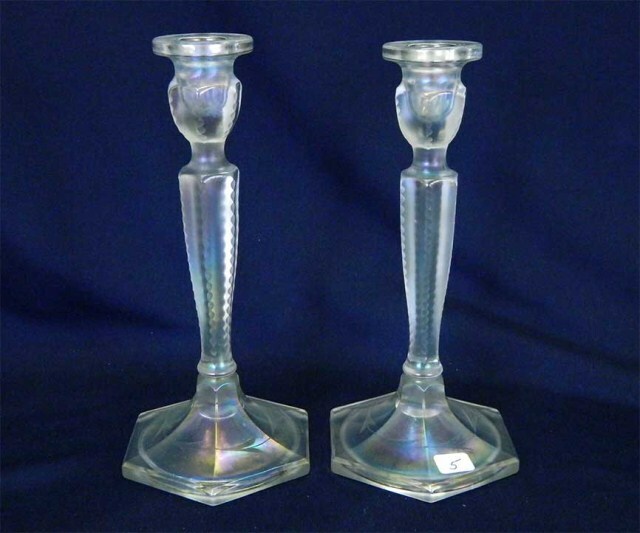 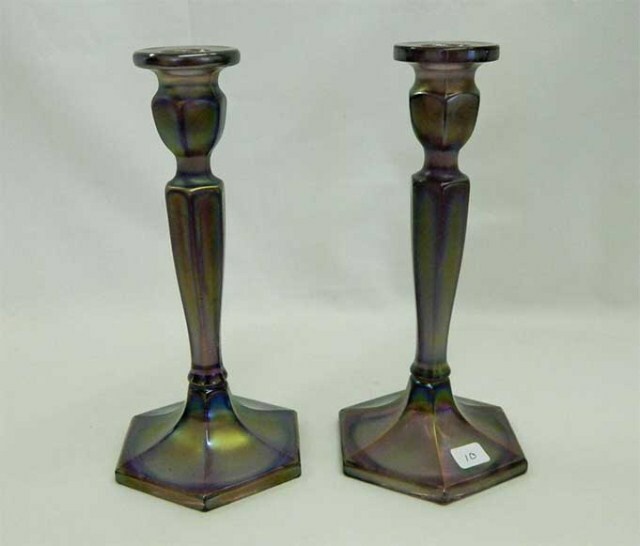 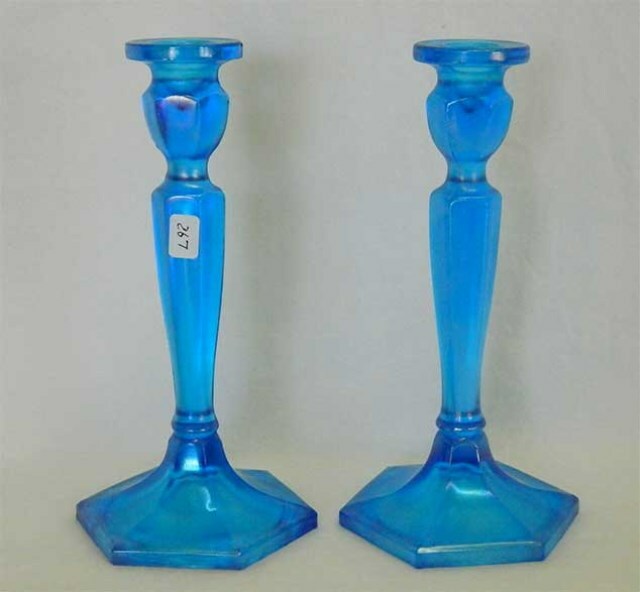 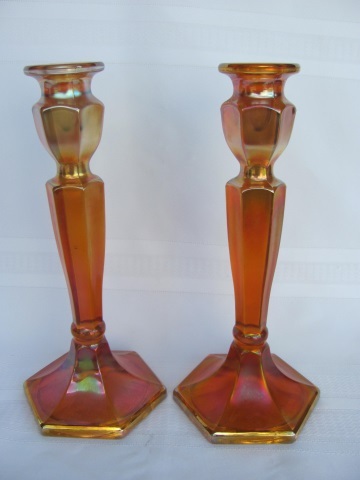 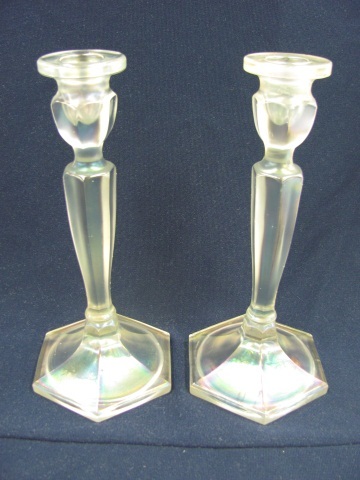 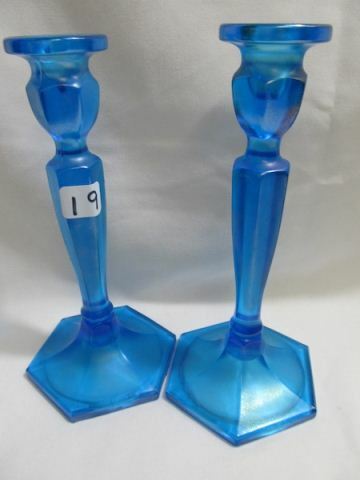 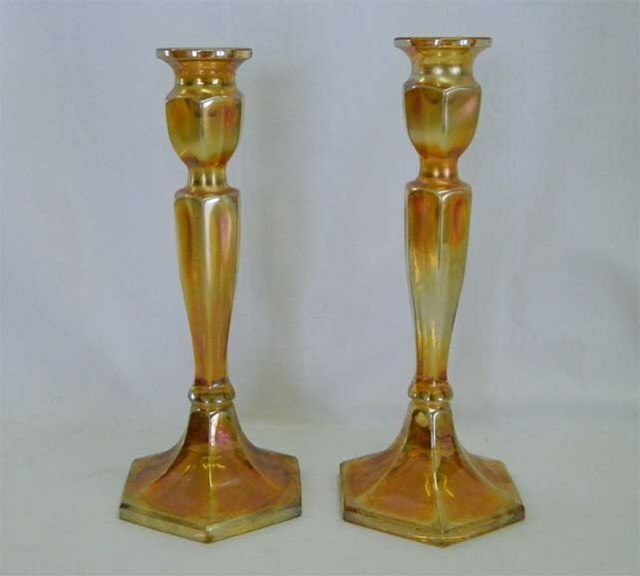 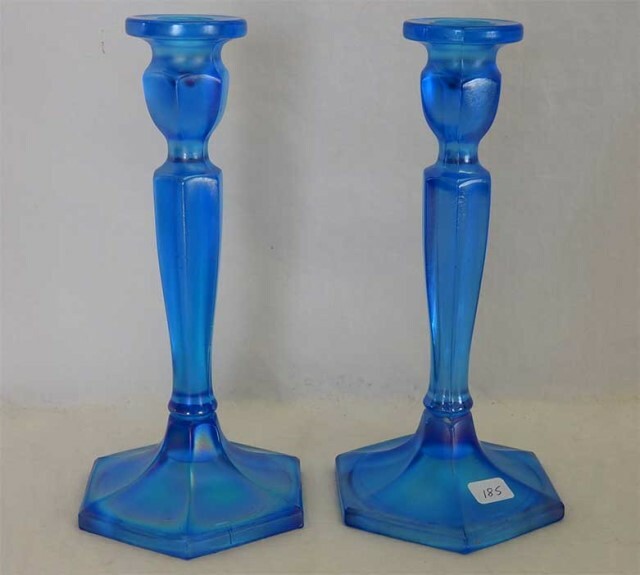 These are some of the most common candleholders. 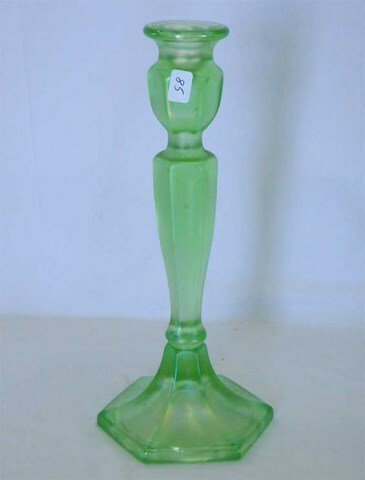 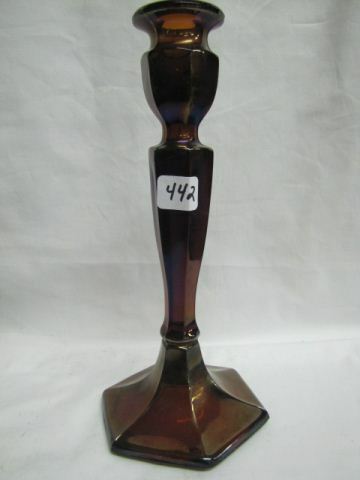 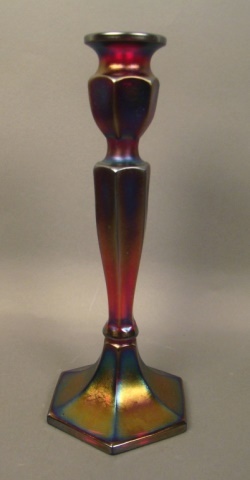 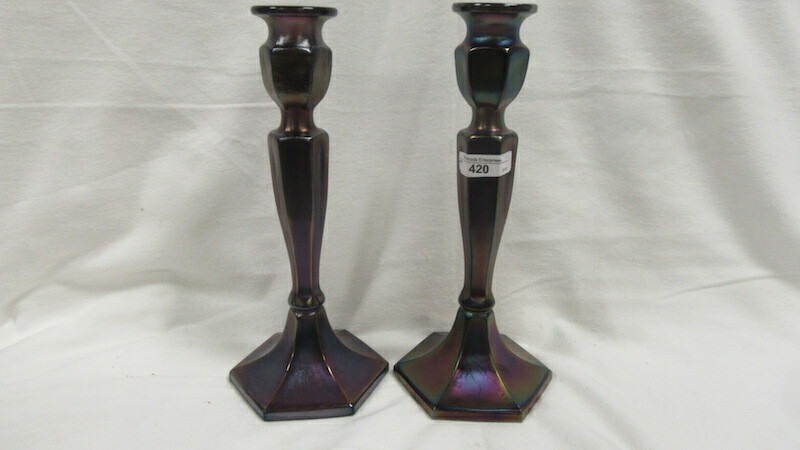 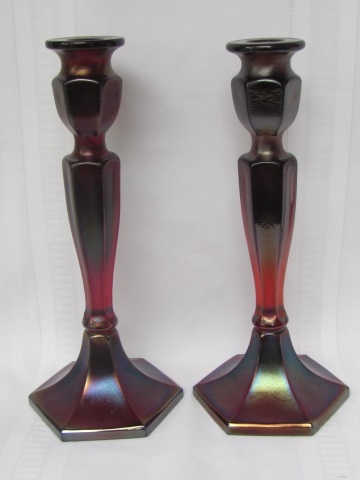 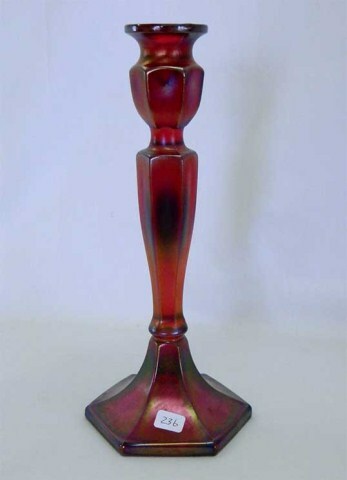 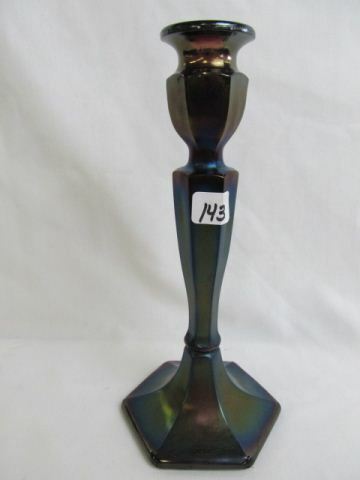 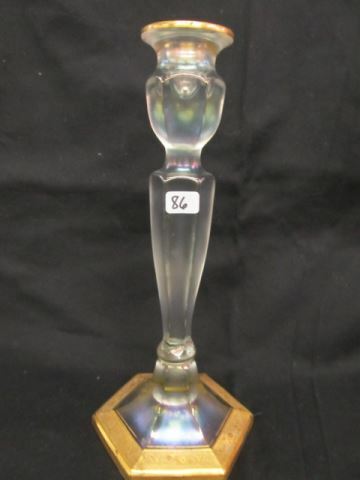 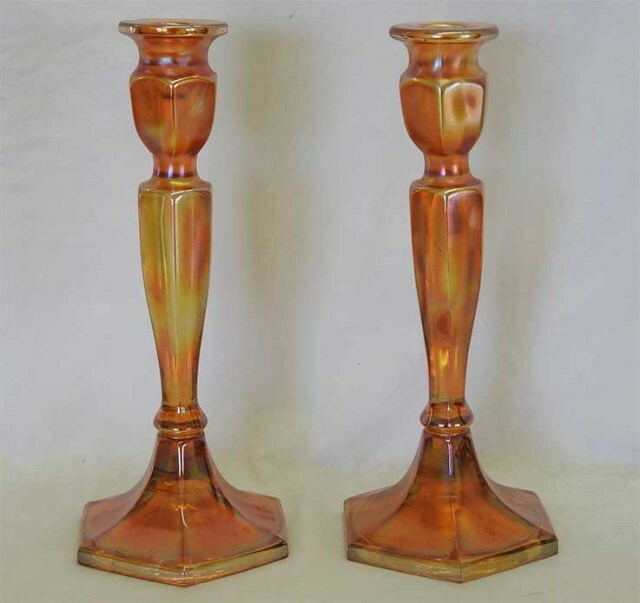 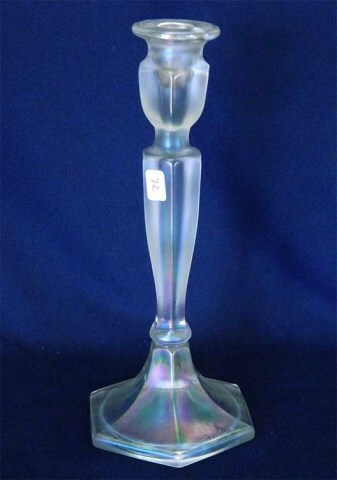 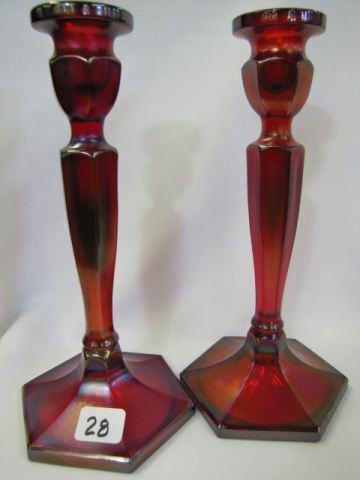 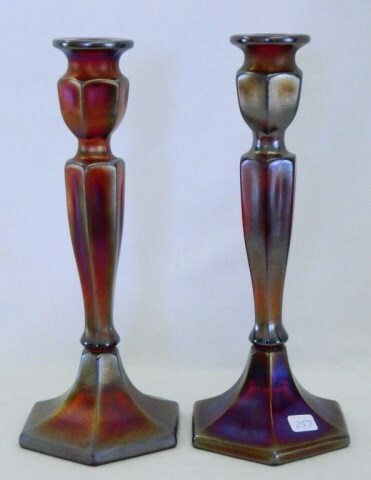 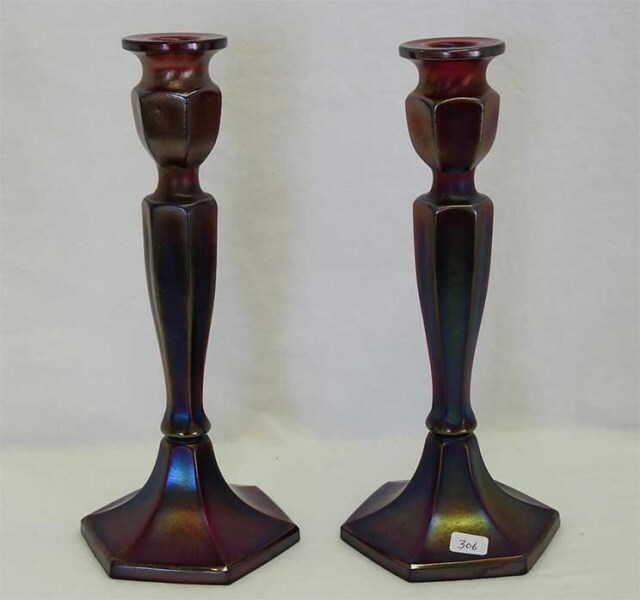 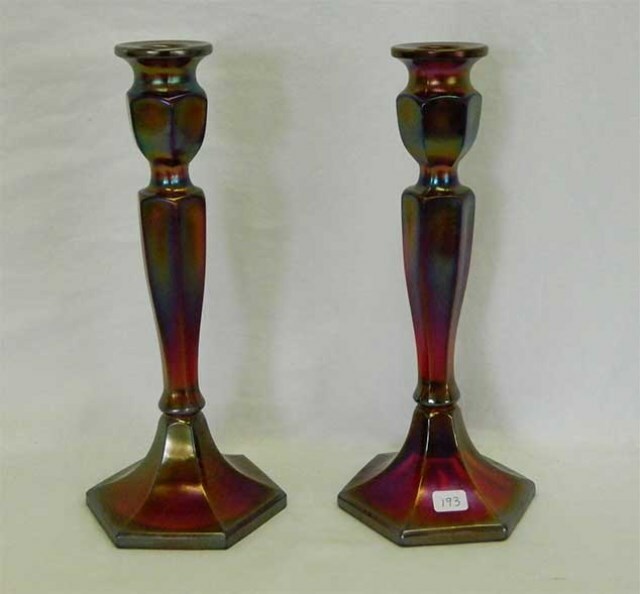 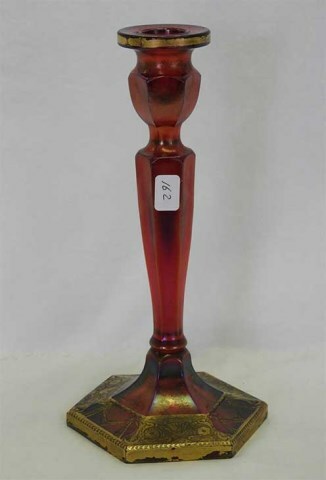 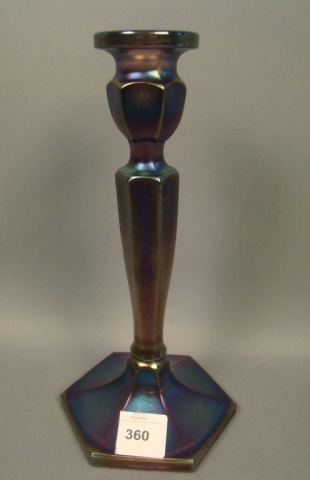 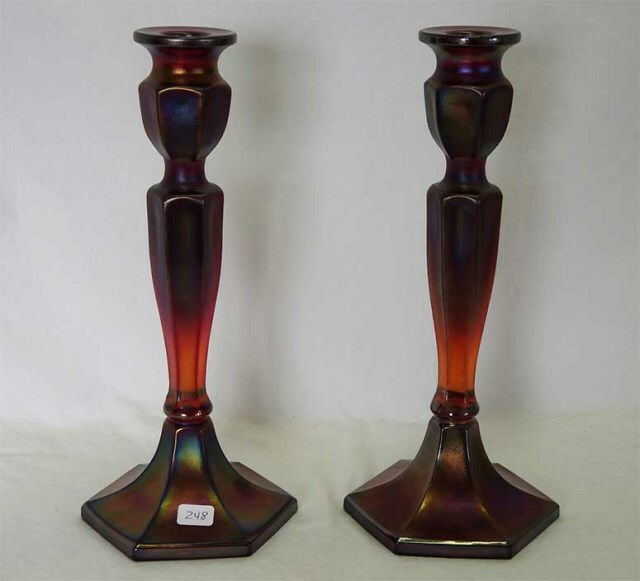 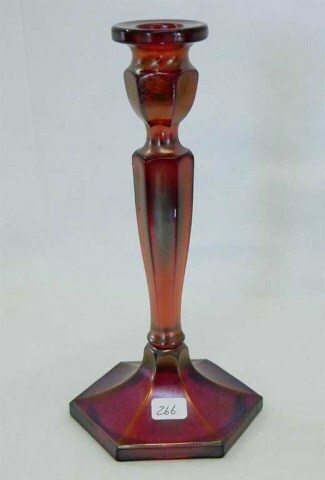 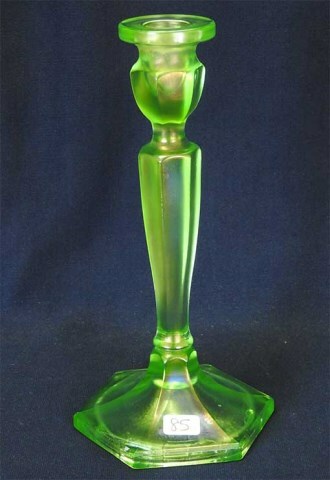 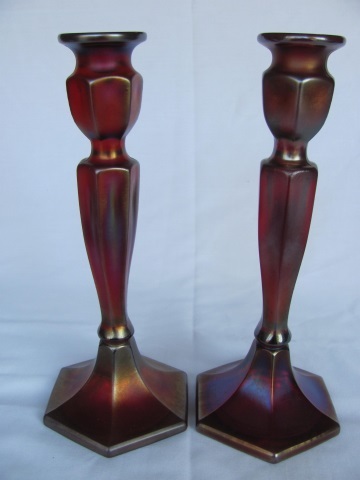 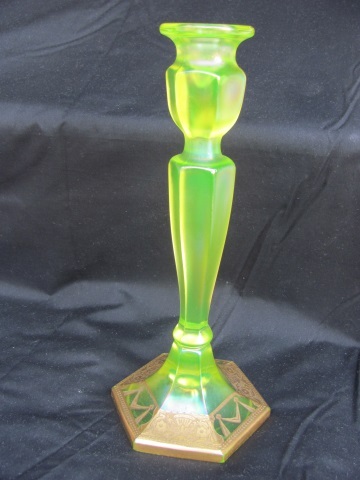 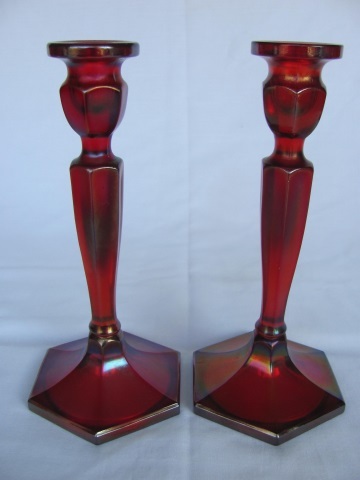 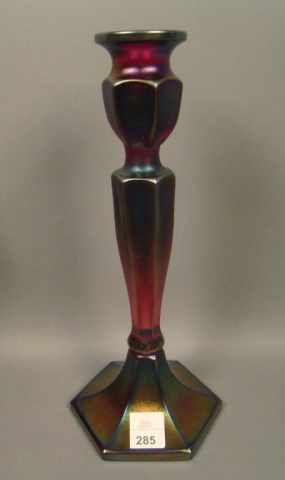 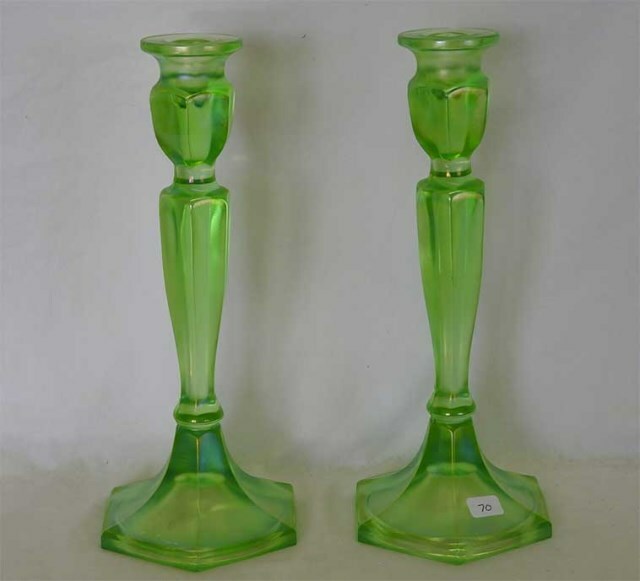 There are two Fenton versions (other companies made similar designs); #349, 10 inches tall and #449, 8 1/2 inches tall. 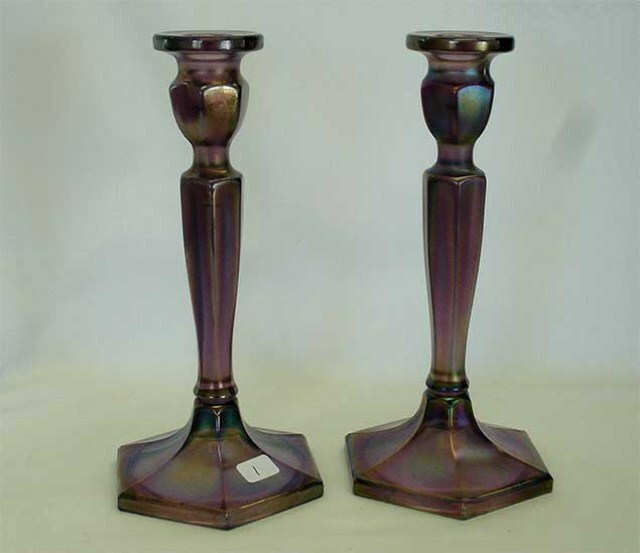 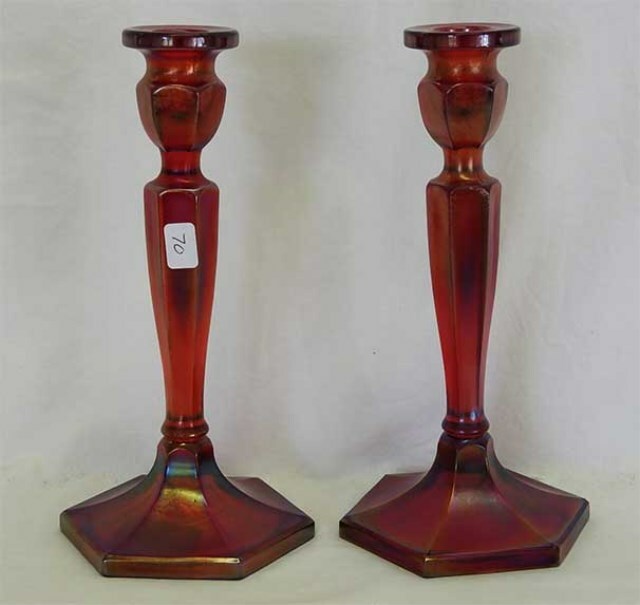 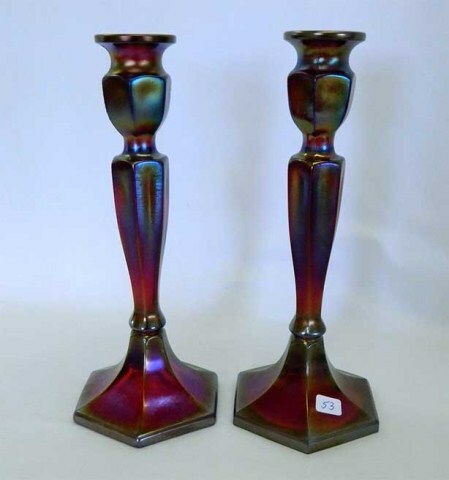 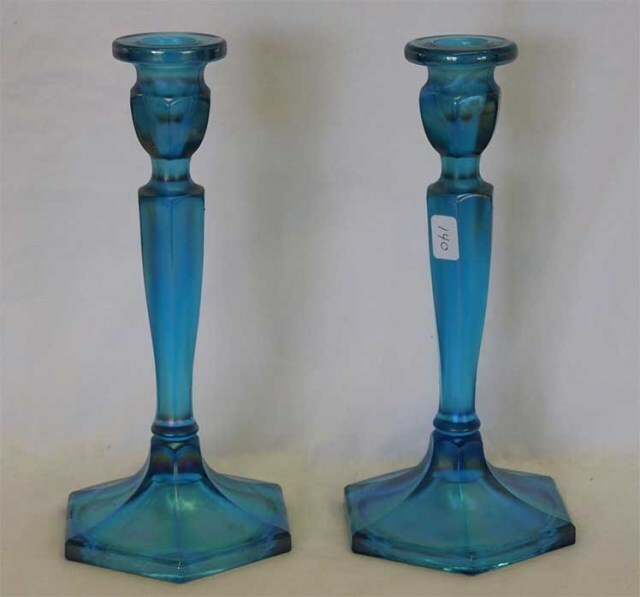 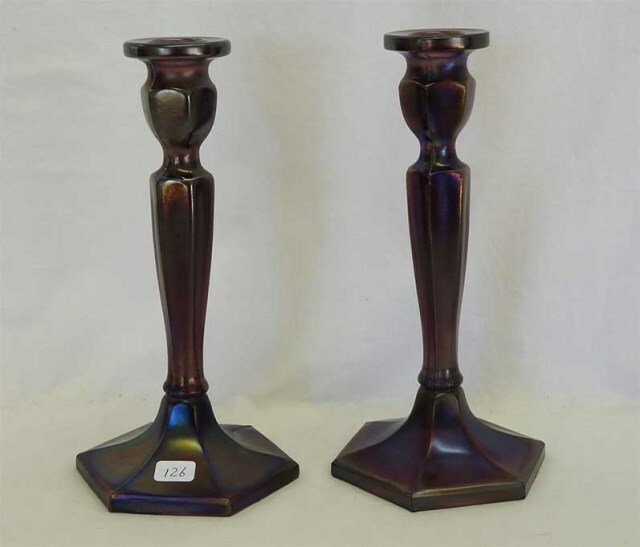 The difference between these and the similar Northwood #695 and #696 Colonial is the shape of the band between the stem and the base. 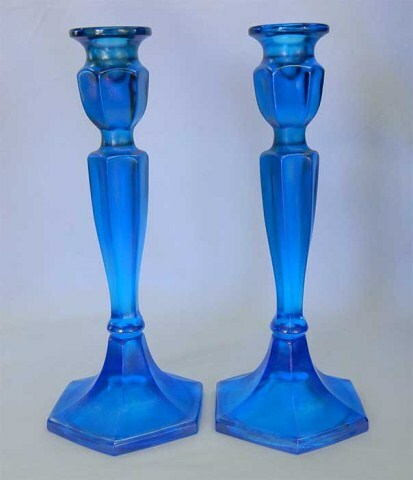 Fenton's is less pronounced while Northwood's is bulbous. 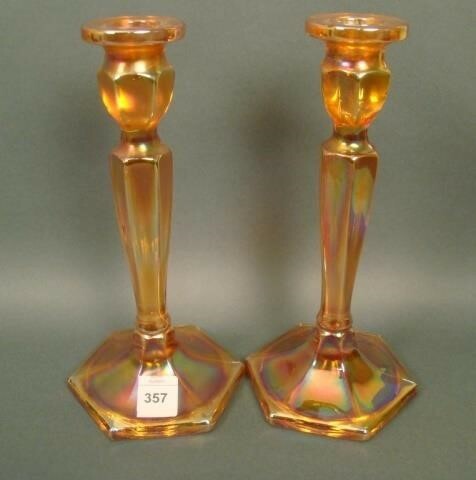 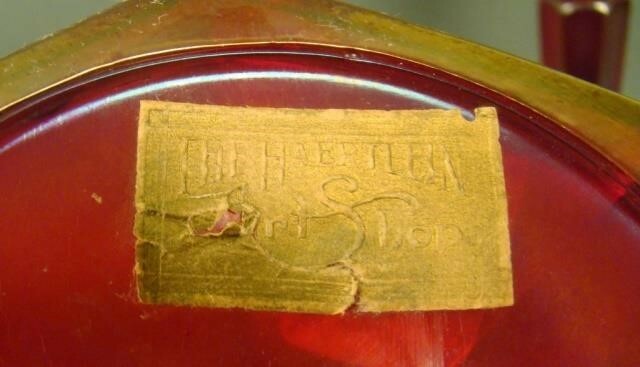 It should be noted that Fenton has reproduced this pattern.